Arts Access Aotearoa works with individuals and organisations to achieve its objectives. We acknowledge and value the commitment of all our funders, partners and supporters listed on this page. ­ Arts Access Aotearoa is a registered charitable trust (CC33533) and you can claim a tax credit on any donation of $5 or more. If you would like to help us ensure all people in New Zealand have access to the arts, you can be sure we will use your tax deductible donation wisely. On this page, we describe some of ways you can support our services and projects. You may also wish to talk to Richard Benge, Executive Director (E: richard.benge@artsaccess.org.nz T: 04 802 4349). Arts Access Aotearoa receives core funding from Creative New Zealand under its Toi Totara Haemata investment programme. Arts Access Aotearoa has a contract with the Department of Corrections to support and advise on the arts as a tool in the rehabilitation process of prisoners. Wellington City Council supports us to deliver access to the arts in Wellington City, including the Arts For All Wellington Network. Creative New Zealand is sponsoring the Arts Access Creative New Zealand Arts For All Award 2018 and the Arts Access Creative New Zealand Media Award 2018. The Department of Corrections is sponsoring the Arts Access Corrections Māui Tikitiki a Taranga Award 2018 and the Arts Access Corrections Whai Tikanga Award 2018. Te Auaha is sponsoring the Arts Access Te Auaha Community Partnership Award 2018. 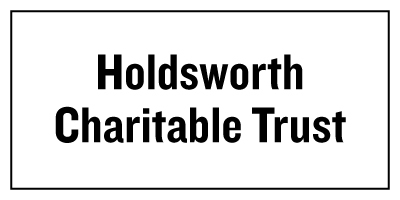 The Holdsworth Charitable Trust is sponsoring the Arts Access Holdsworth Creative Space Award 2018. Te Auaha New Zealand Institute of Creativity is a vital partner in this annual fundraising event. Original generation time 1.2194 seconds. Cache Loaded in: 0.0211 seconds.